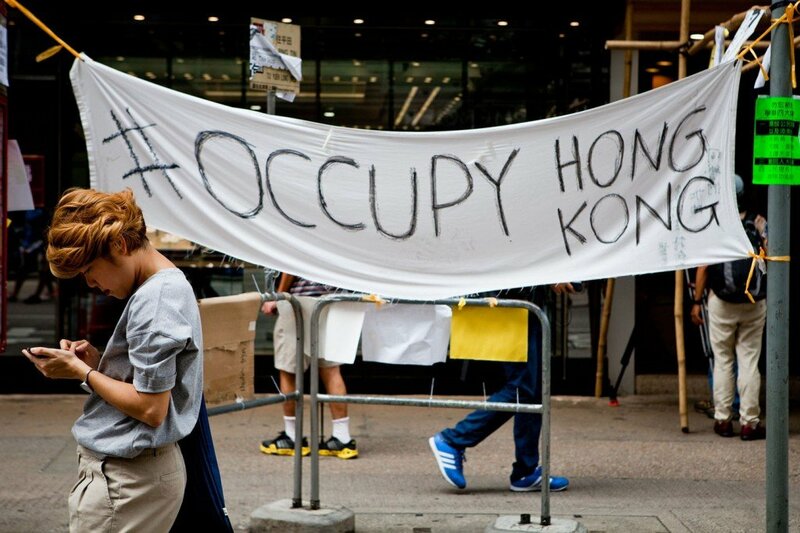 Hong Kong protesters have accepted an offer of talks with the government after a week of unrest. Chief Executive CY Leung Leung offered the talks with his deputy late on Thursday, October 2, but rejected calls to resign. The protesters, angry at China’s plan to vet election candidates, have been occupying parts of the city since the weekend, though numbers have fallen. Beijing has thrown its full support behind CY Leung, calling the protests illegal and “doomed to fail”. On Friday, October 3, Hong Kong temporarily closed government offices in the main protest-hit area, saying staff should work from home because roads were blocked. Though the protests were significantly smaller on Friday, some groups remained on the streets. In a sign of tensions, there were some scuffles as police tried to keep protesters back from the buildings. Scuffles also broke out in the Mong Kok district between protesters and residents who oppose the demonstrations. Similar disturbances were reported from the Causeway Bay area. Police were sent to Mong Kok where pro-Beijing groups had reportedly tried to remove barriers and tents. At a news conference, the police have heavily criticized the protesters for obstructing traffic and blocking supplies reaching the government offices. “It is unreasonable, unnecessary and severely affecting emergency services and the life of the public,” police spokesman Hui Chun-tak said. Hui Chun-tak urged protesters to leave the area outside the government buildings in an orderly fashion, but stressed the police would remain impartial and “exercise the greatest tolerance”. On the issue of talks, the Hong Kong Federation of Students (HKFS) said it would have a public meeting with Chief Administration Secretary Carrie Lam, but insisted that CY Leung should step down, saying he had “lost his integrity”. The Occupy Central movement issued a statement saying it hoped “the talks can provide a turning point in the current political stalemate”. It also called for CY Leung’s resignation. Benny Tai, co-founder of Occupy Central movement, also visited students outside government offices – who have reportedly attempted to block supplies from reaching the police – and urged them to show understanding. “Everyone loves Hong Kong and we all hope to have a peaceful and just society, and on this journey we must show inclusivity,” he said, according to Apple Daily. The students had threatened to escalate their protests and occupy government buildings if CY Leung did not resign by Thursday night. He warned that any attempts to occupy buildings would lead to “serious consequences”.